My class has been working on two-digit addition with regrouping in recent weeks, and we're getting ready to move on to other math strands. 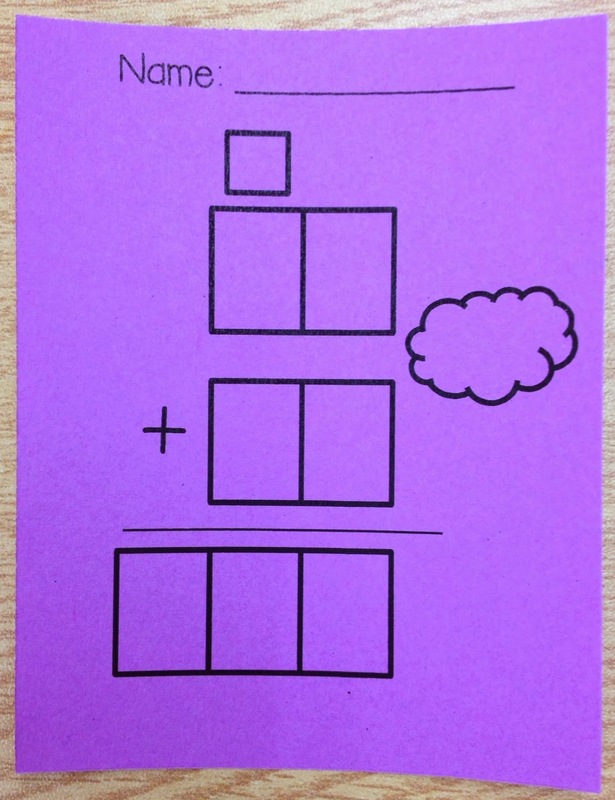 Not wanting my students to forget this important skill, I've created an addition challenge that I'm using as bell work upon entry first thing in the morning. 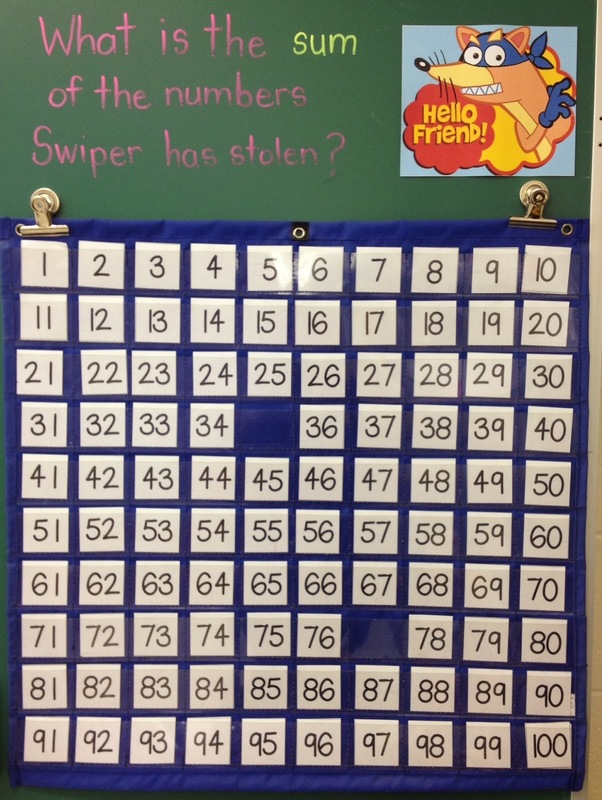 I have a 100 chart hanging in one corner, and each day "Swiper" pulls two numbers from it. You can grab these FREE replacement numbers HERE! The students are required to identify the missing numbers, then find their sum. I created little "ballots" that reflect the strategy we're using for addition. You can grab this template HERE! 10 or more, move the tens next door. 9 or less, let the ones rest. I take a peek at the solutions, and they glue the slip into their math notebook. 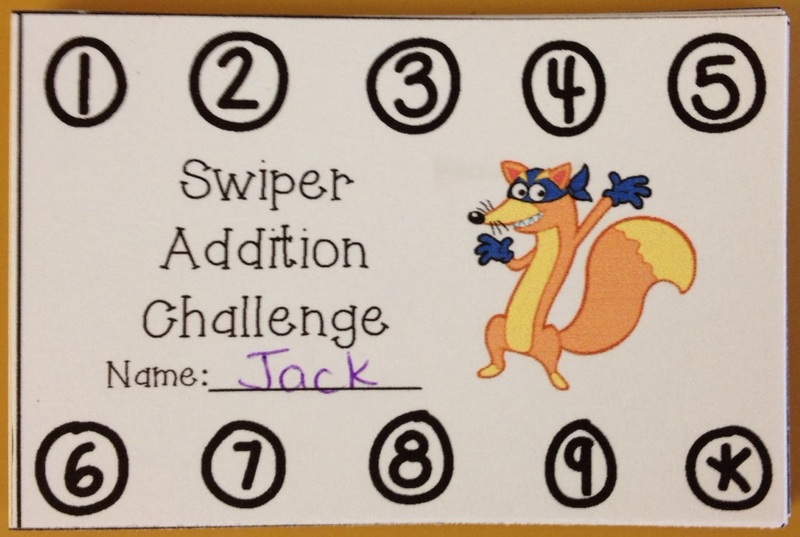 If the student gets the answer correct on the first try, they earn a stamp or punch on their Swiper Addition Challenge card. When they reach 10, they get to choose something from the classroom treasure chest. I am hoping that this regular practice will keep these addition skills sharp! If you'd like to try this in your own classroom, you can click the images above to grab free copies of the punch card and "ballot"! I'd love to hear what you think, or what you do in your classroom to motivate your students to keep these skills sharp! 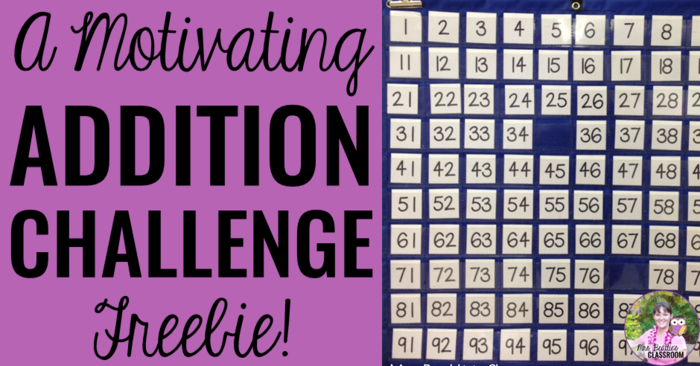 You might also be interested in how I ensure my students are excited about their math learning in this blog post! Oh my gosh! That is such cute and fun idea! I bet they love it! 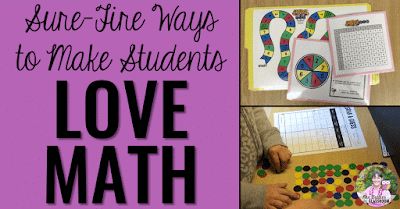 I love when we can trick them to playing a game/contest and working on math at the same time! Thanks for sharing and linking up! Thanks, Joanne! They DO love it! The first of my kiddos got to raid the treasure bucket on Friday, and he talked about it all day, telling every teacher who walked through the door! I like that they're motivated and it is keeping the skill fresh. The constant practice should help to make it a mastered skill that they'll hopefully take with them to the next grade! How cute this is! Sigh... I wish I taught math! I'm thinking I might be able to adapt something similar for Language Arts, hmmm? You've got me thinking! Thanks for this great freebie. Can't wait to use it!! You're welcome, Judy! Hope you enjoy! I love this! I am just getting a new second grader tomorrow in my tutoring business, and this will be perfect for her. Thanks for sharing. I love this idea! Thanks for the freebie! I cant wait to try this out in my classroom. This is awesome...great motivator and re-enforcer AND in such a cute format! Thanks so much!! Thanks Erin! Do you happen to have the pic of Swiper available that you use on the hundreds chart? Love that idea and we have just begun that unit. Perfect timing! Thanks for stopping by! I actually just grabbed the image from a Google search. I'm sure you'll have no problem finding it!